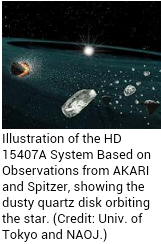 Pleasure, and thank you in turn! 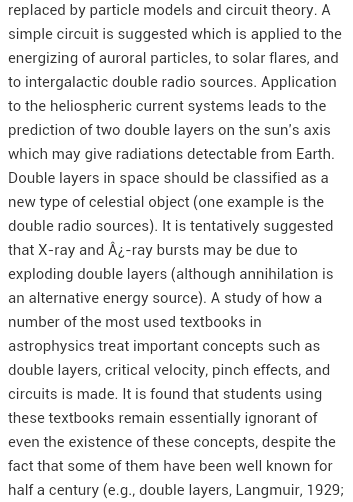 This looks like a very interesting blog posting of yours, and we are working on a theory that will use the Beltrami formalism from sub elementary particle level to galaxies. 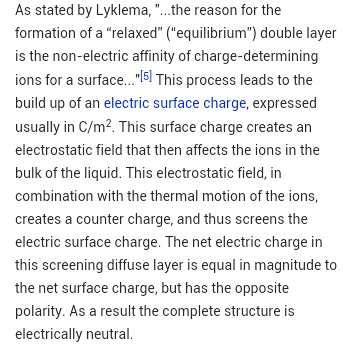 I intend to post some more calculations today. 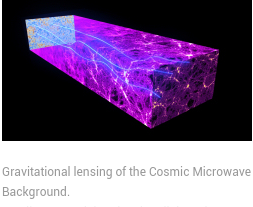 the Cosmic Microwave Background Radiation is purported to bend around massive cosmic objects by the gravitational lens theory. 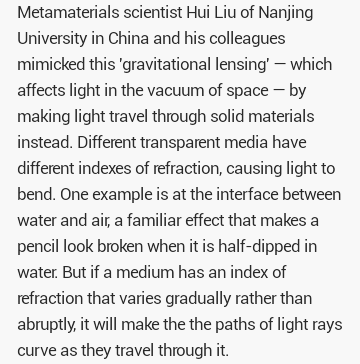 Metamaterial space fabrics prove what really happens to light is diffraction. 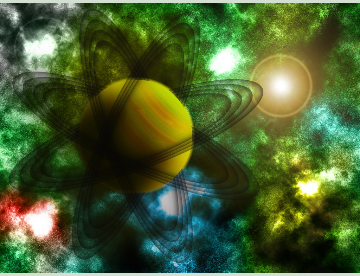 The primordial big-bang radiation would not still be traveling around to reach earth, and be bent by huge galaxy clusters full of dark matter nonsense, all by gravity theories that take nothing into account by enormously strong and vast electric and magnetic fields. 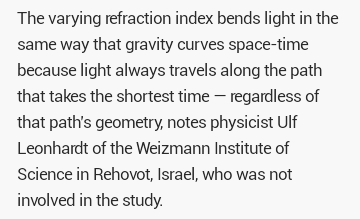 Obtaining an exact solution of Einstein’s equations proves it’s entirely reasonable to discard the so called “gravitational lens” theory. 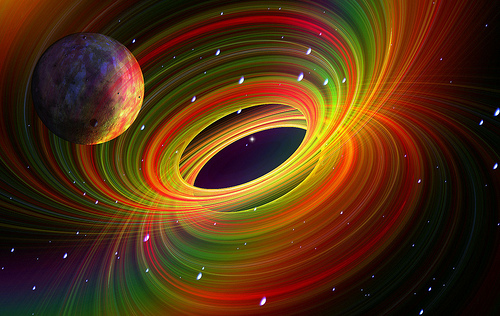 Mathematical imaginary relativity for gravity cosmology requires devising unseen dark matter and theoretical black holes. 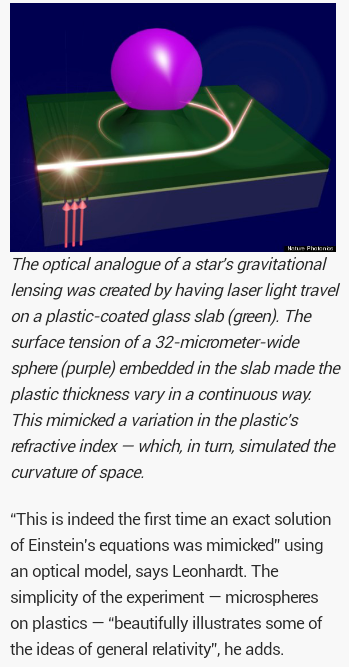 A societal virus plaques mankind widely misrepresented as the gravitational lens interpretation, along with the big bang theory. 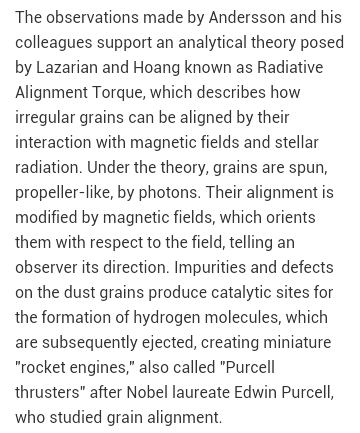 All true phenomena is electromagnetic in nature, that gravity theorists falsely mimic and analog by relativity. 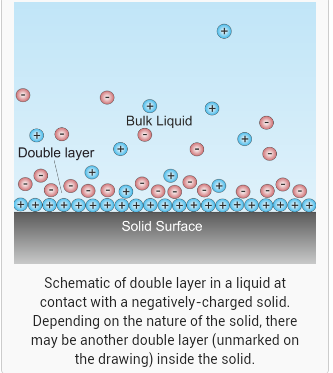 A Nano-cosmology of dust, plasma, magnetohydrodynamics, and phase changes into superfluids and supersolids. 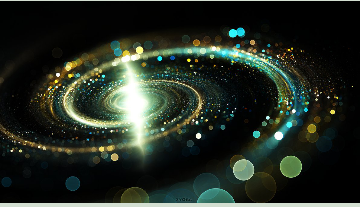 Protoplanetary disks that form planets, and galaxy disks that form star systems, are significantly shaped by H2 astrochemistry, geometric lattices aligning by light interactions, and nano-scale crystal phase changes. 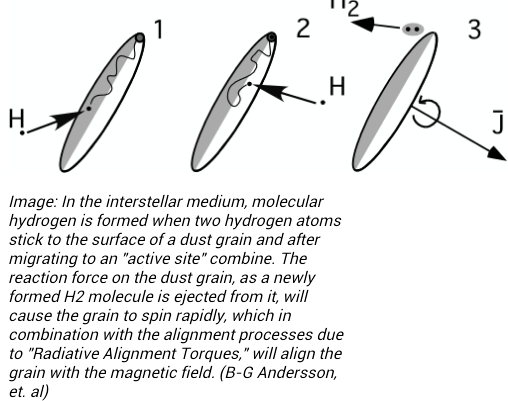 H2 molecular hydrogen attracts and binds to dust grains, that moves and aligns grains collectively to form complex plasma cosmic structures. 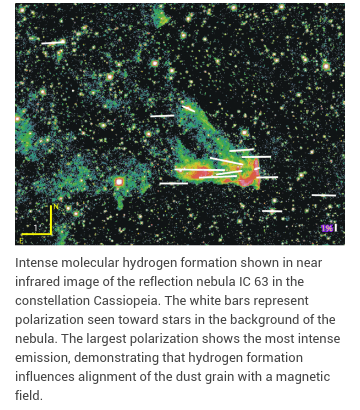 H2 Molecular Hydrogen the most common molecule in the interstellar medium of all galaxies, attaches to substrate dust grains, that collectively magnetically align into entire solar system accretion disks that form planets, and galaxy disks where stars form. 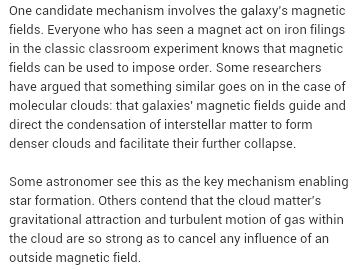 The coldest clouds are undetectable like black holes that are best modeled as real superfluid helium with impurities. 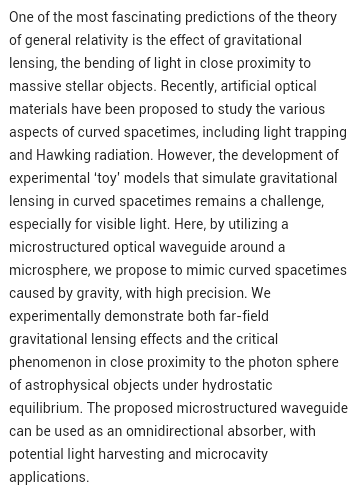 Nanoscientist Zheng wrote me back once, about my nano-galaxy model. 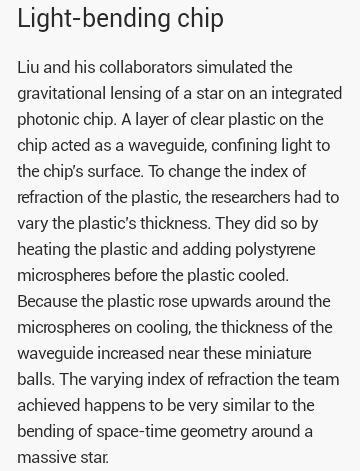 She wrote that it is a good analogy of a galaxy, the formation of nanoparticles into nanorods, that suddenly behave like a single huge giant like atom. 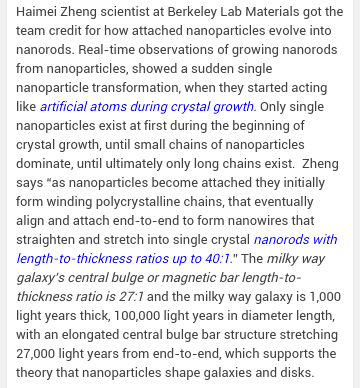 Nanorods self-assemble like our milky way galaxy bar structure, and both have the same ratios of width, length, and thickness. 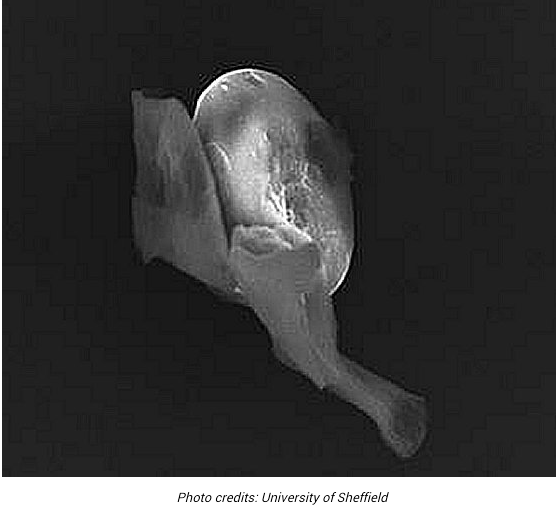 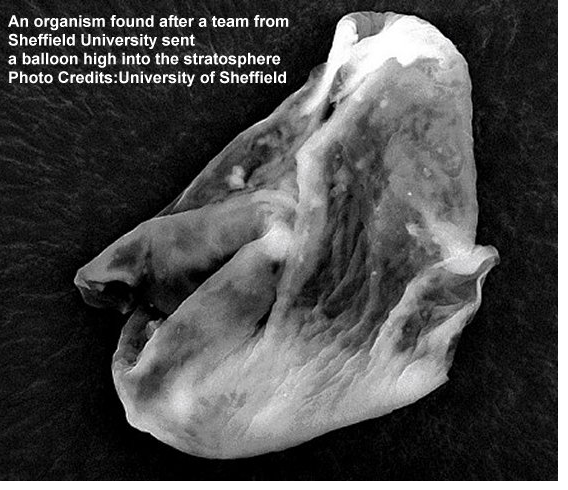 A broken diatom crustacean shell fragment claimed to be alien in nature, has the appearance of an aquatic earth diatom. 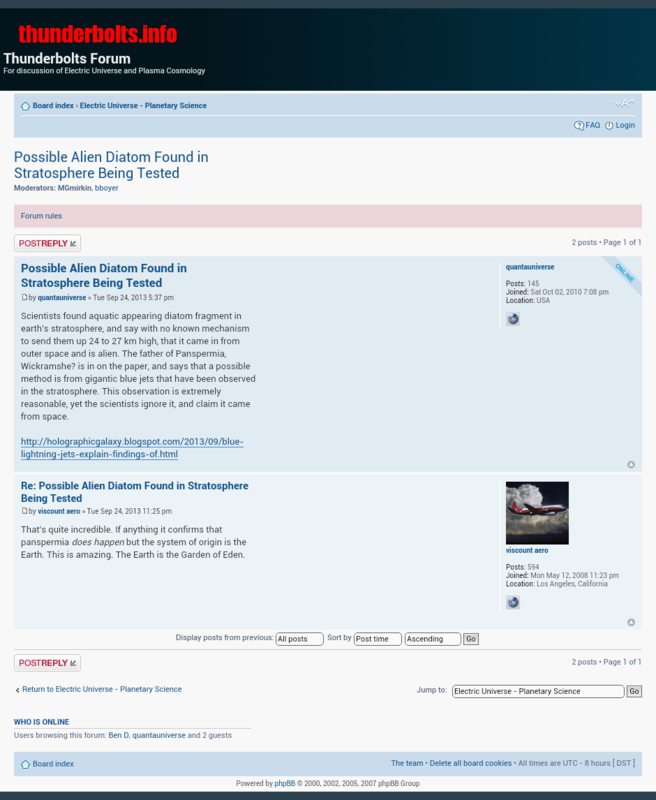 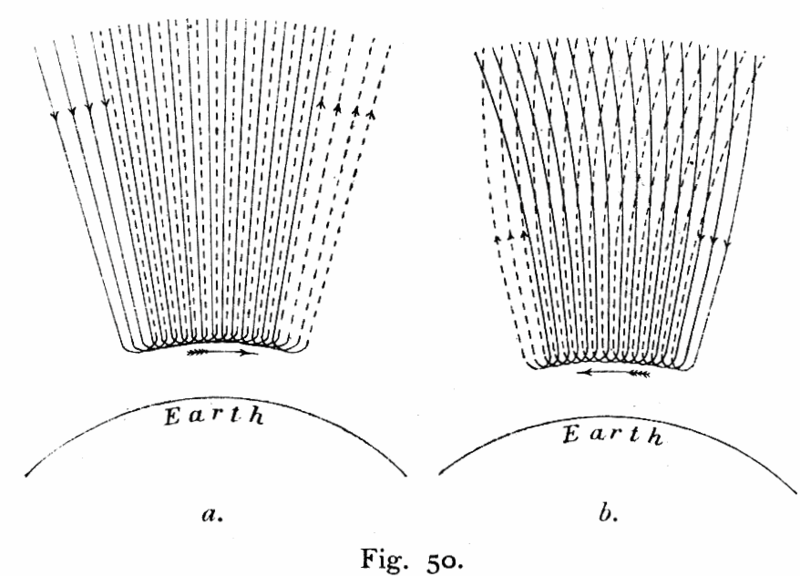 Found 22-27 kilometers high in the stratosphere, famous scientist Wickramasinghe who is involved in the paper, states that the only possible known mechanism to transport a diatom to this height is by gravito-electrophoresis, forest fires that strengthen thunderstorms and lightning, or by blue lightning, which has been observed in 2001 to travel over 70 kilometers high, and reaching thicknesses between 35-45 km. 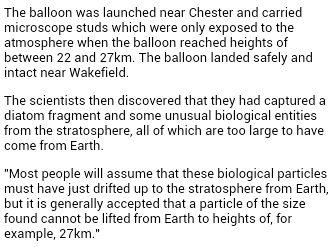 I prefer believing in these observations as the explanation, rather than finding alien life that looks like it came from earth. 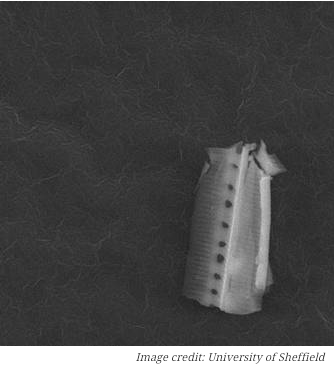 Alien Diatoms like on Earth?? 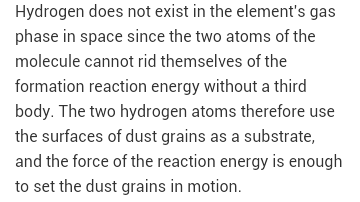 Let’s not neglect a good scientific explanation. 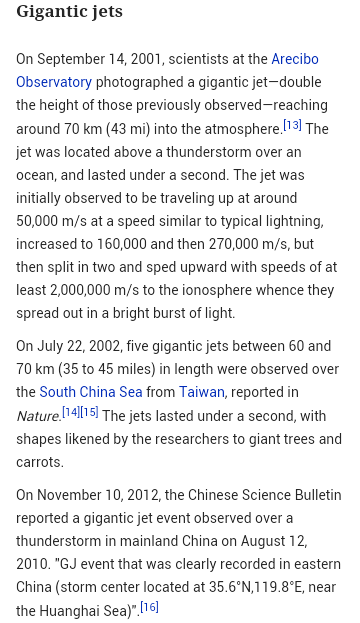 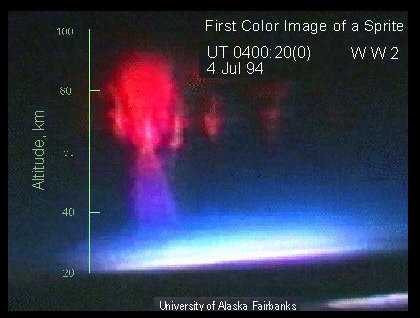 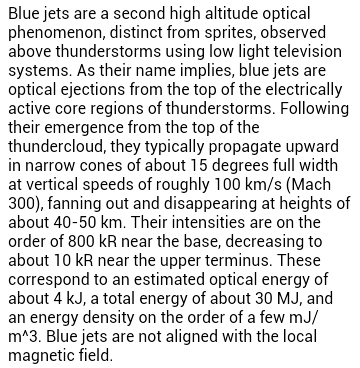 Gigantic blue jets observed originate from near the center of the thunderstorm cloud, shooting upwards into a magnetically confined conical shaped structure, originating from where the charges are the strongest. 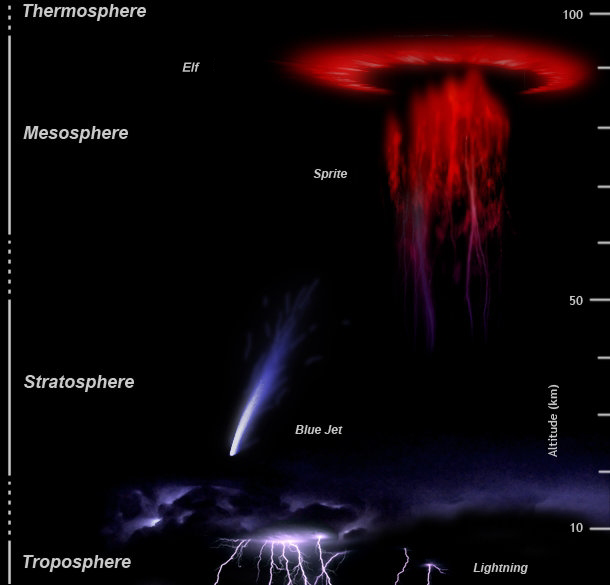 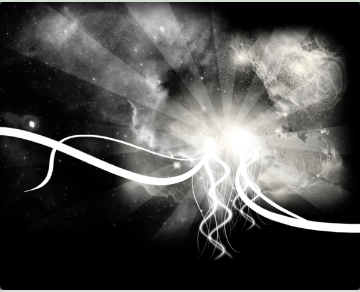 Aquatic diatoms from earth are easily carried up by winds into low level rain clouds, and eventually into outer space. 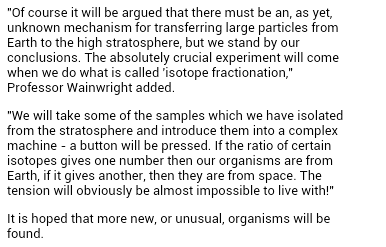 How fascinating to think about writing a new textbook on how alien life spreads throughout the universe. 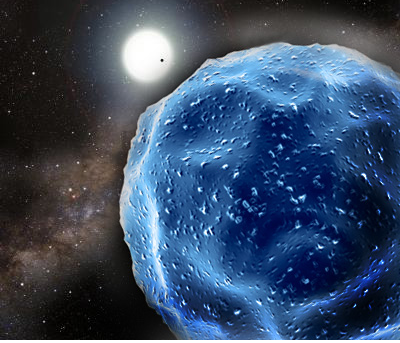 The best suited organisms will exponentially replicate naturally in extreme outer space conditions inside buckyballs with liquid water and dusty mineral particles. 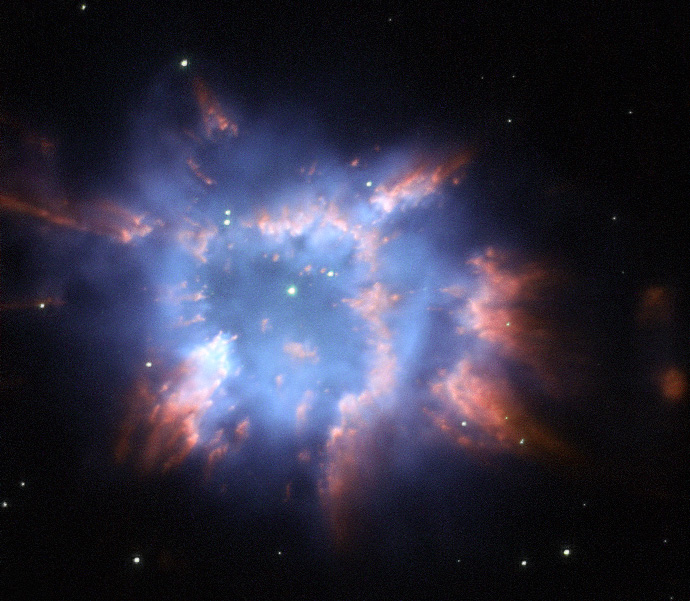 Buckyballs stacked like orange crates that fill the volume of huge mountains were discovered in a planetary nebula. 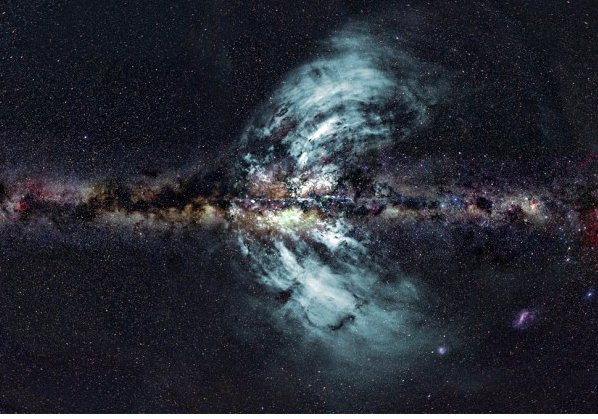 the central region of the galaxy, near the accretion disk entirely concealing a theoretically postulated but never observed black hole. 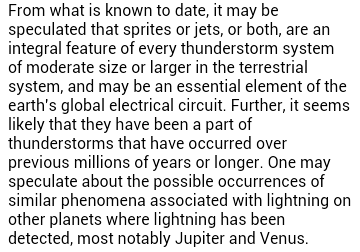 Conclusion: Life spreads throughout solar systems, star systems, and galaxies, by gigantic blue jets taking upwards living things that can adapt and survive in outer space conditions. 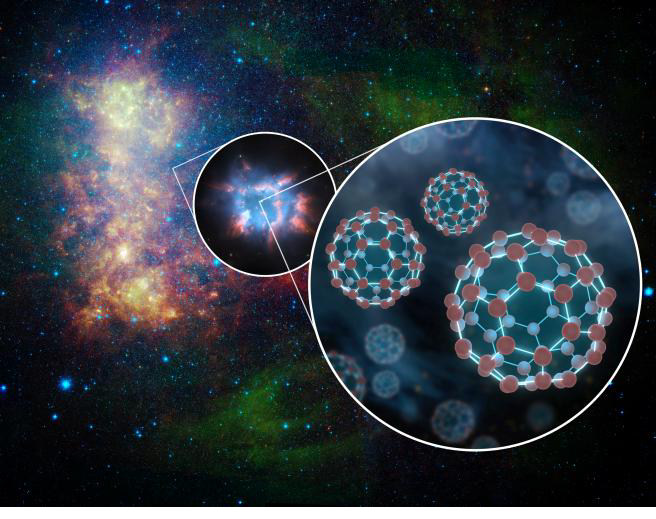 Life is commonly flourishing inside outer space carbon nanotubes and rolled buckyballs, that keeps water a super cooled liquid upon carbon surface contact. 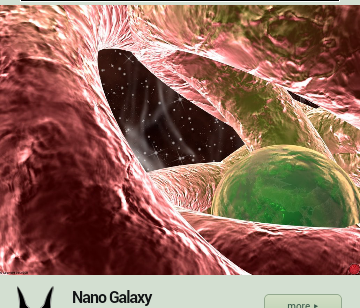 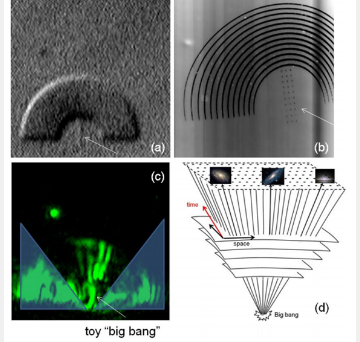 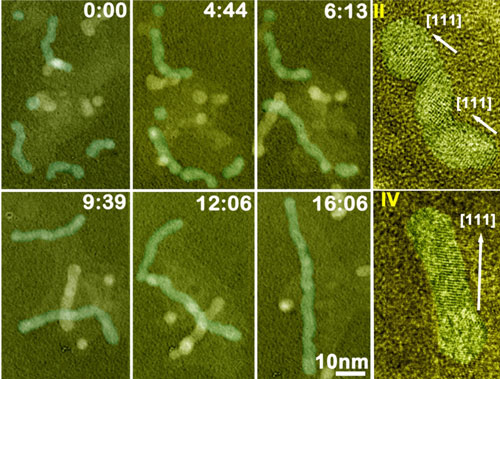 DNA self assembles on carbon nanotubes in outer space conditions, showed Johnson. 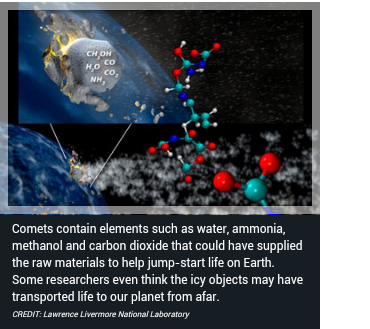 The first alien life we will discover will be different than earth life. 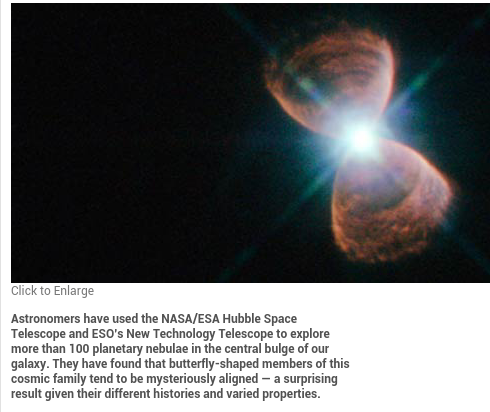 We’ll wait and see if the alien diatom tests find a new biochemistry unknown to us, but that’s extremely unlikely. 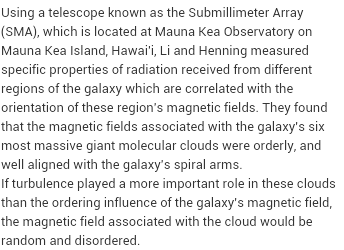 Graphene Detection in the Magellanic Clouds indicates new electrohydromagnetic complex plasma operating based cosmology still growing. 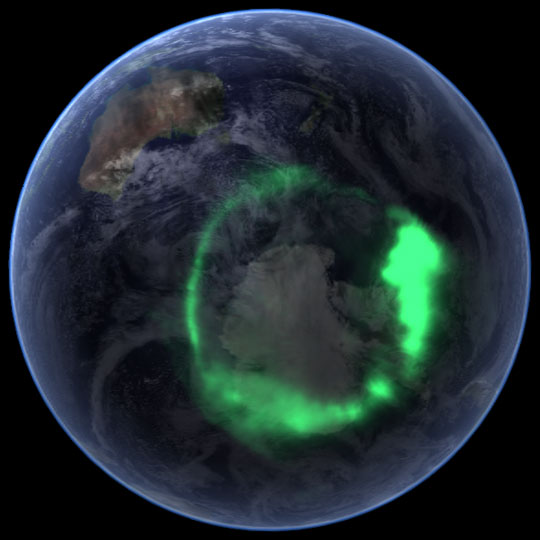 A ring current inside the magnetosphere with many stable non-gravitational orbits. 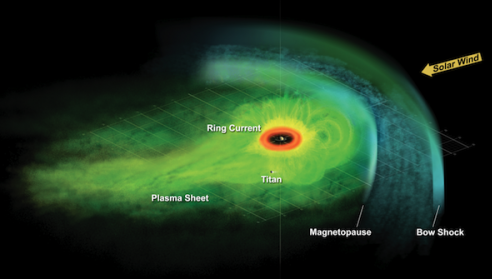 Saturn’s solid and liquid moon Titan has been discovered to orbit inside the magnetosphere of Saturn, and is close enough to Saturn to be strongly magnetically shielded from lethal cosmic rays, without having an intrinsic magnetic field like Earth. 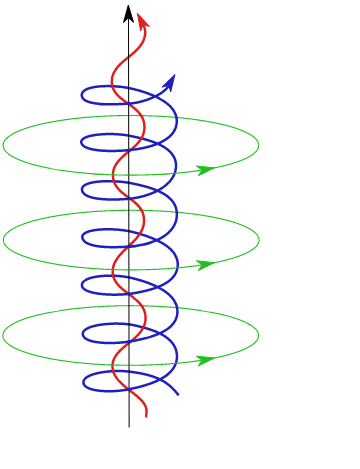 Ring currents have a vortex structure that explains away ancient Newtonian gravitational theories, and Kepler’s Laws of Planetary motion. 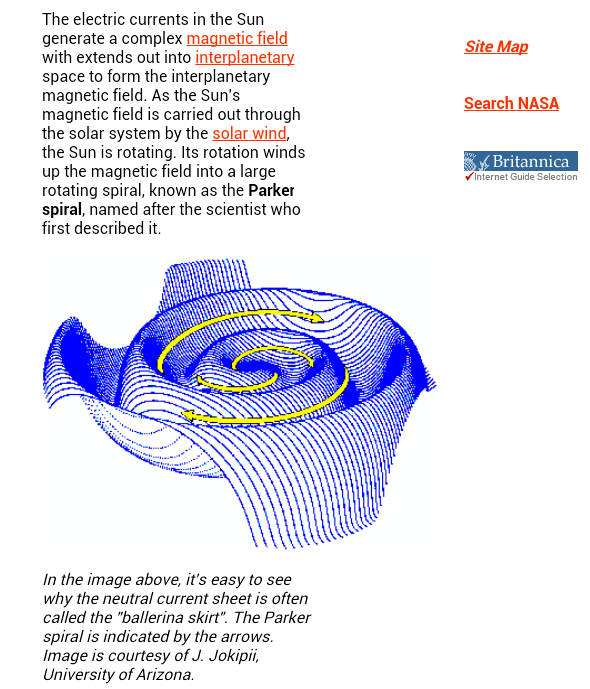 The sun has a huge magnetosphere and ring current, inside where all the planets likely orbit in a thin flat vast plane, nearly aligning the entire solar system with the plane of the milky way galaxy. 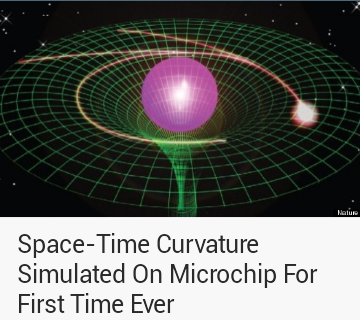 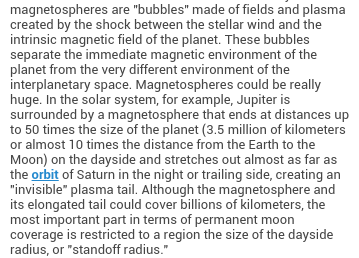 Moons that always orbit inside the magnetosphere of a planet are inside a plasma sheet, orbiting around the ring current in a plasma vortex state, without any theoretical Newtonian gravity necessary to explain the motion of the moon traveling around the planet. 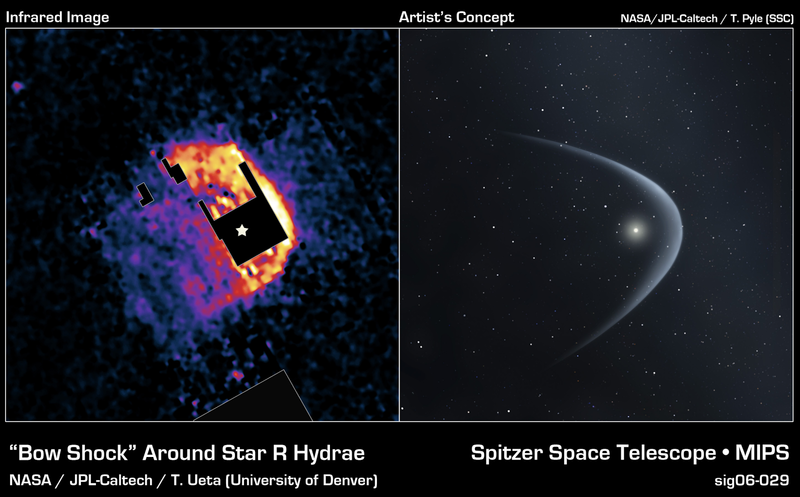 Star R Hydrae’s huge bow shock forms a stellar sized magnetosphere and ring current. 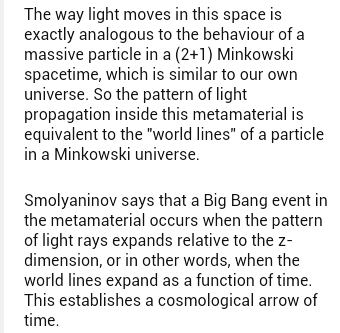 This is useful for what is becoming the new cosmology that explains orbits of moons, planets, stars, and galaxies. 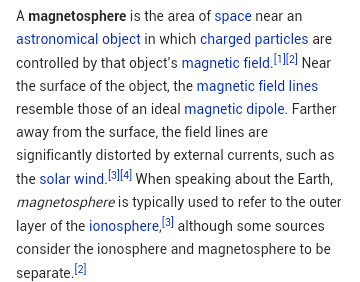 This key missing ingredient is known as the magnetic current. 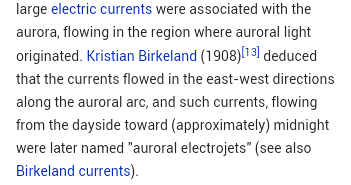 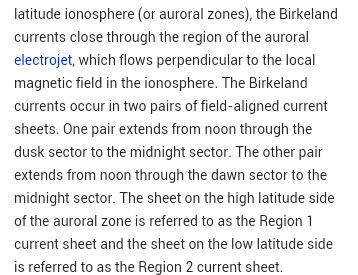 Birkeland currents occur in two pairs of field-aligned current sheets. 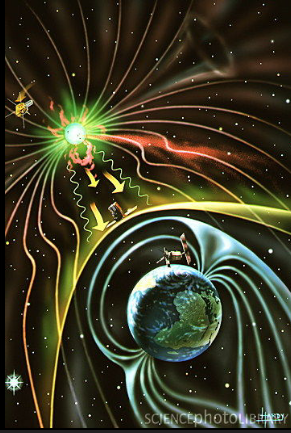 Daytime noon twists into night around the magnetosphere. 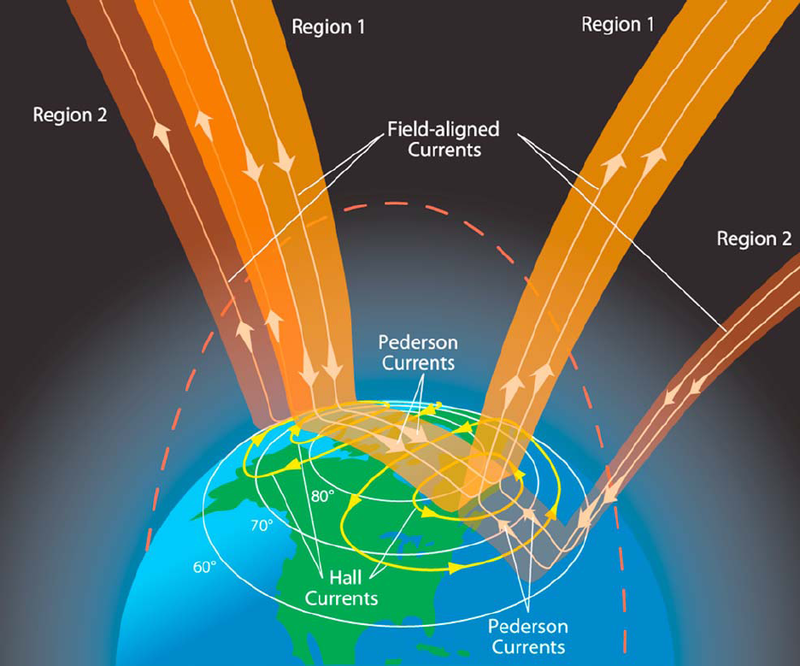 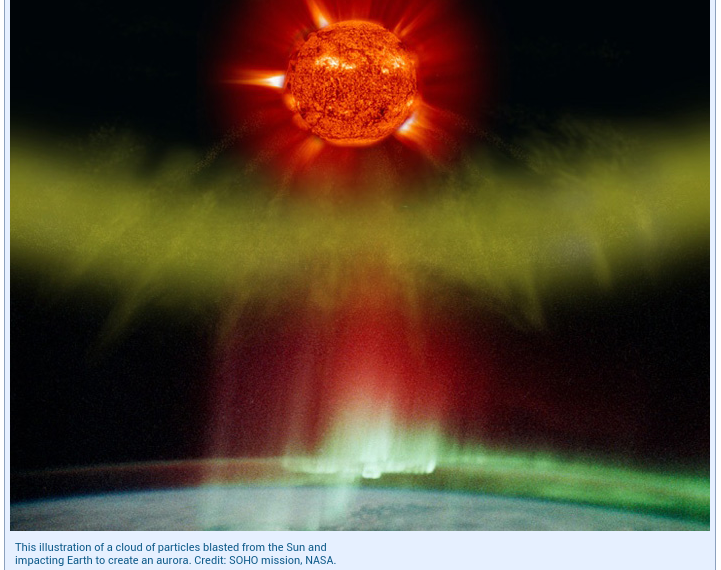 Application to the heliospheric current systems leads to the prediction of two double layers on the sun’s axis, which may give radiations detectable from earth. 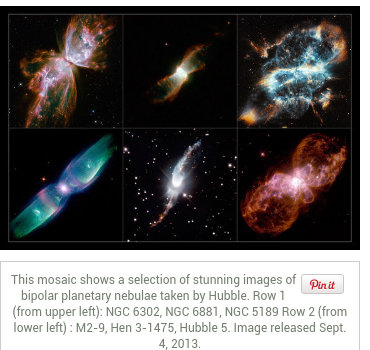 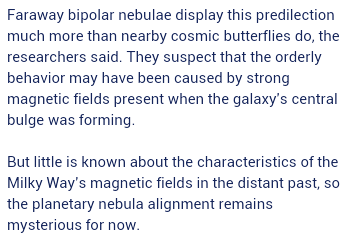 “Cosmic butterflies” are supernovas. 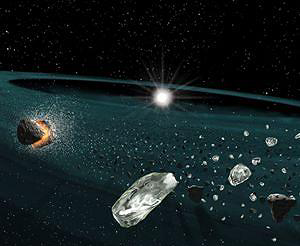 Supernova remnants themselves are extremely rare to find. 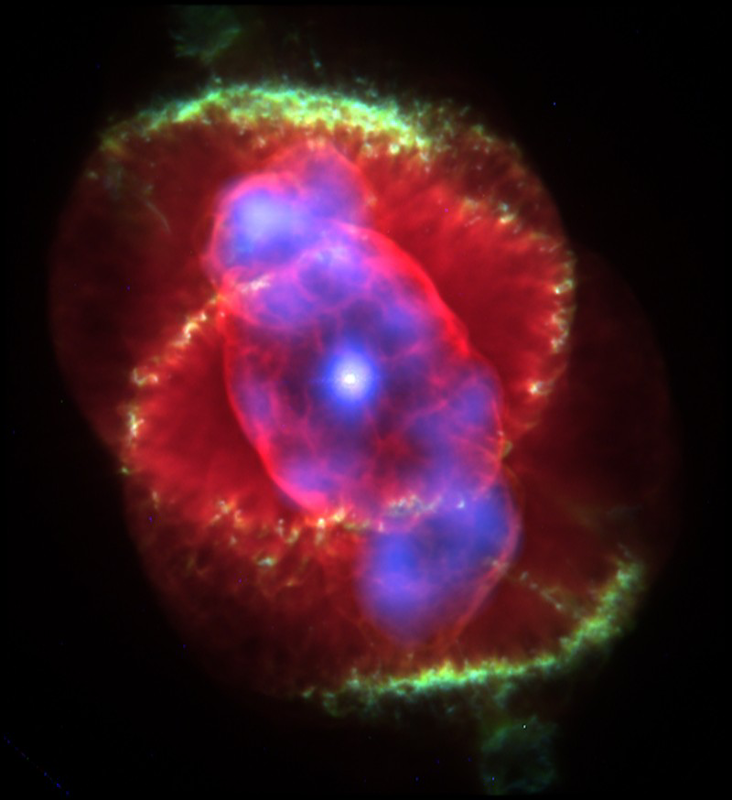 Supernovas do in fact interact with each other, or they would not all be dancing together, like magnets. 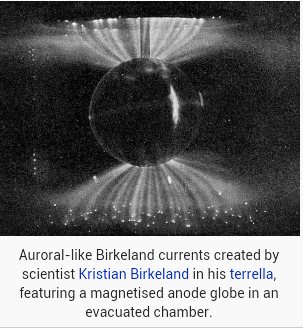 Birkeland currents align the exact same way, becoming twisted together like magnetized rope. 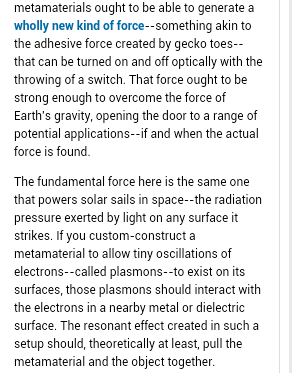 New cosmology with correct interpretations grows strong, because public taxpayers hate wasting hundreds of billions on gravity and dark matter “science.” Electricity produces cosmic magnetism and vice versa. 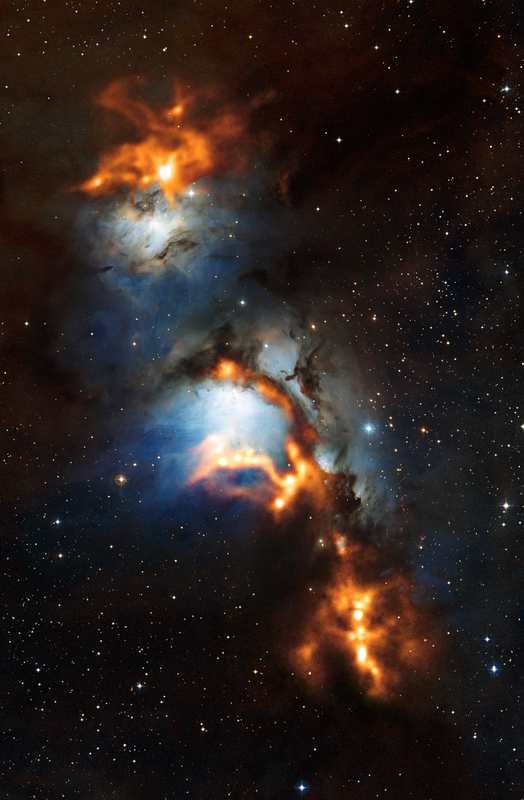 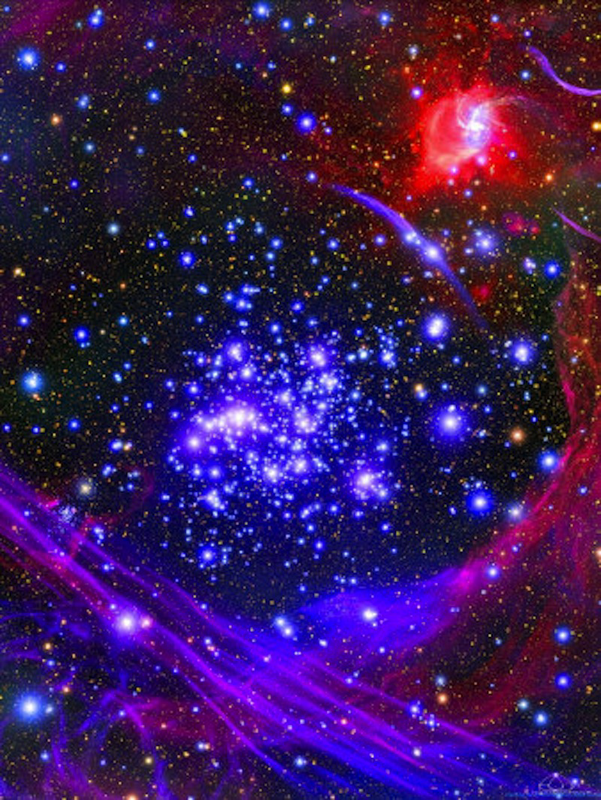 The distant past was like it is now, with extremely strong magnetic fields shaping and forming stars and galaxies. 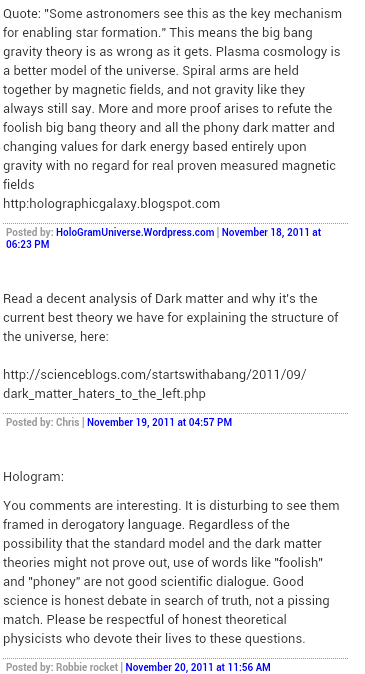 Nothing mysterious at all. 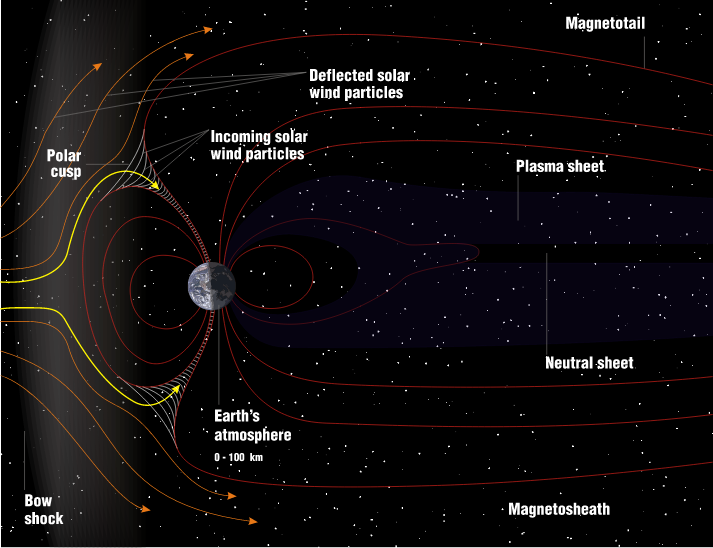 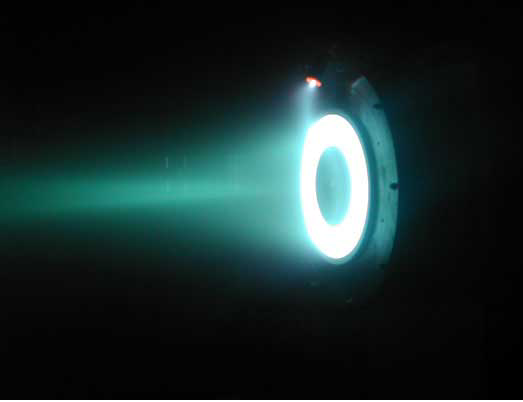 Magnetic shocks are caused when a moving object encounters very thin but vast plasma filaments. 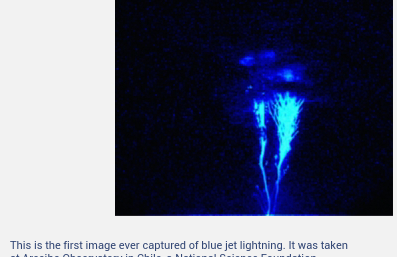 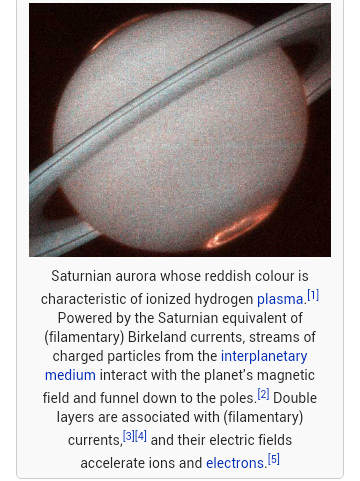 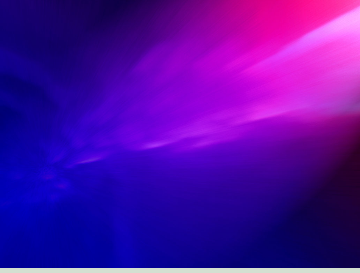 Filaments magnetically confine the plasma containing relativistic accelerated charged particles. 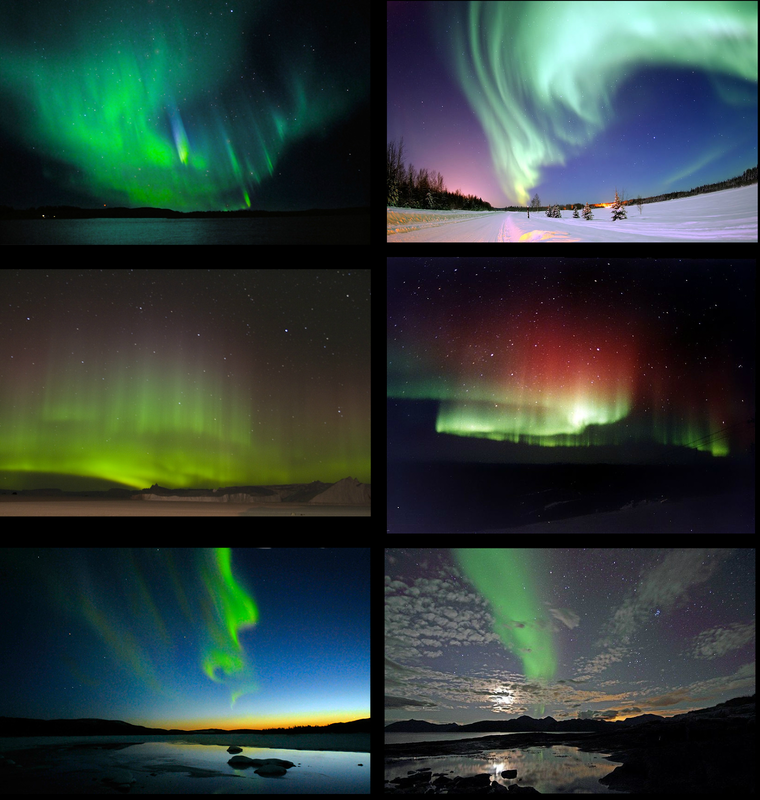 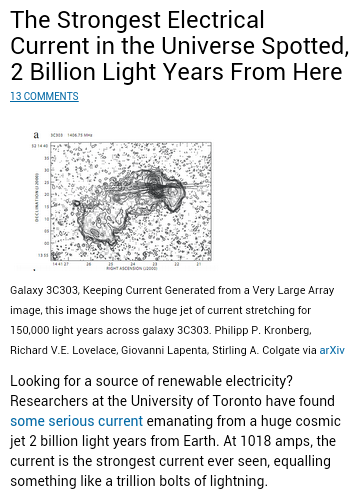 Supernovas produce electric shocks and accelerate cosmic rays by electricity. 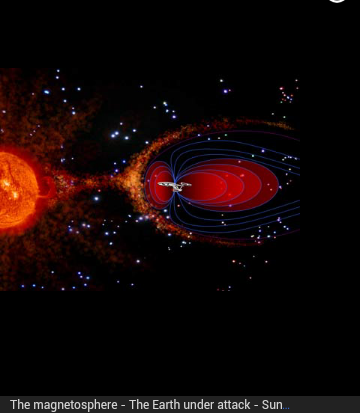 Electric currents actually do flow between neighboring supernovas when the magnetic field is strong enough for ideal conditions in space. 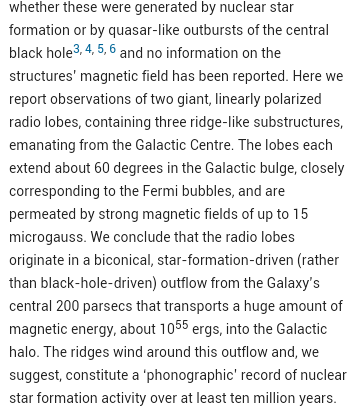 10 to the 55th ergs of power of magnetic energy is being directed outwards from near the center of our galaxy called Sagittarius A. 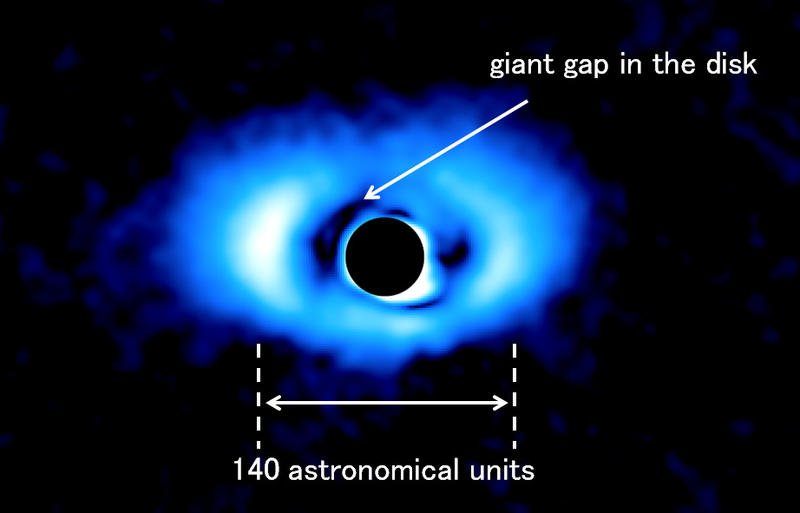 No black hole is required, as the nearby accretion disk concealing the inferred AGN, is very likely superfluid helium inside the coldest center of galaxies. 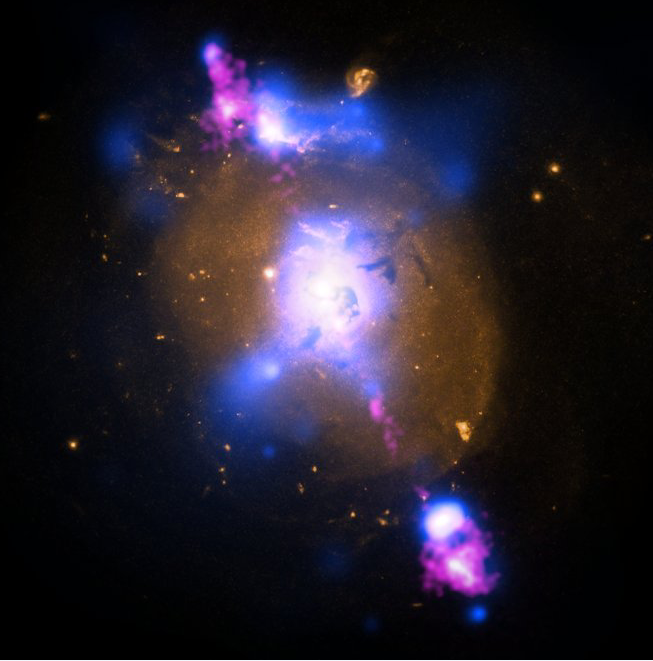 Both theoretical gravitational black holes and actual helium atoms, are larger the colder they are near absolute zero, and both found to grow by eating 99% cold gas. 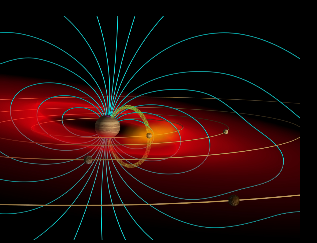 Gravity scientists claim that electrical charges are quickly neutralized in space, but there is almost nothing in the cold vacuum of intergalactic space to neutralize electrical charges in jets, so they travel hundreds of millions of light years through intergalactic warped space, shaping the universe, without gravity having ever been detected.